The Michael Rockefeller Disappearance Hoax is Finally Solved! 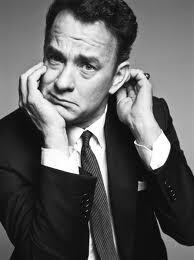 Disney Hollywood Actor: Tom Hanks! Contrary to the lie spread by the Rockefeller Family, the C.I.A., F.B.I. & the Hearst owned media, Michael Rockefeller was NOT eaten by crocodiles, piranhas nor cannibals while "allegedly" vacationing in New Guinea! The C.I.A. helped Michael Rockefeller fake his death so he could live out his gay lifestyle in anonymity as the Disney Hollywood Actor: Tom Hanks! 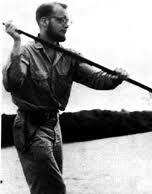 Michael Rockefeller aka: Tom Hanks is at least 10+ years older than he appears & claims to be. He uses anti-aging hormone injections a toupee and plastic surgery to look much younger than he really is. Tom Hanks posturing; "Hey, look at my left ear..."
Rockefeller's "disgusting" looking left ear & Tom Hanks surgically altered left ear from the image below. *Notice the same pattern of 5 bumps on the cheek by the bottom of left ear. 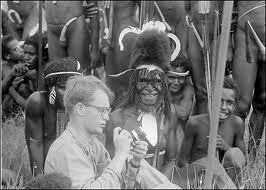 Michael Rockefeller has a hideous, animal/alien looking deformed left ear with no ear lobe, skin tags, growths, lumps, tumors & small bumps or pox on his cheek, probably caused by years of family inbreeding and or syphilis of the ear or from eating human flesh infected with leprosy or possibly Kimura's Disease caused by an insect bite or tropical fungus. Rockefeller aka: Tom Hanks has had years of plastic surgery to correct his hideous looking left ear and bumpy, pock marked skin by his left ear. 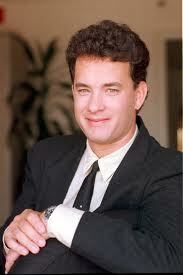 Hanks is probably deaf in his left ear. 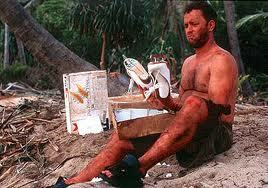 Michael Rockefeller/Tom Hanks, the gig is up. You hid the truth for more than 50 years! Good con job. It's ok if you are gay and older than you really are. No one cares other than your father. 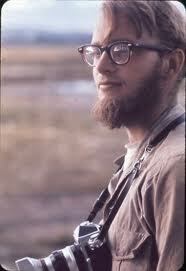 It's time for you to announce to the world that you are really Michael Rockefeller. You have nothing to lose by admitting your true identity and all to gain! The Michael Rockefeller "Alleged" Disappearance is Finally Solved! 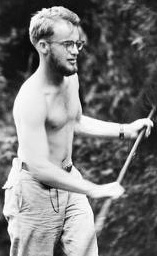 I, Erik Orion am the first person to reveal the secret identity of the"alleged" lost heir, Michael Rockefeller as the Hollywood actor: Tom Hanks! If there is still an outstanding reward for locating the lost heir to the Rockefeller Fortune; Michael Rockefeller, I am the one who deserves to receive it! The Rockefeller Family filed a false missing persons report and wasted millions of taxpayer dollars by having the US Navy and Coast Guard search for Michael Rockefeller in 1961, when they in fact faked his death to fraudulently collect his billion dollar life insurance policy from Lloyds of London! 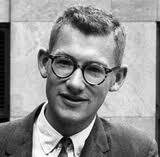 Rodman Rockefeller, son of Aldrich Rockefeller is really the Disney Hollywood Actor Kurt Russell. Russell might also be impersonated his father Aldrich Rockefeller in public. Notice the resemblance? Can you name one "good" thing OBAMA or the C.I.A. has ever done for America or for you? If not, you better buy a copy of The Bush Connection ebook before it's too late! 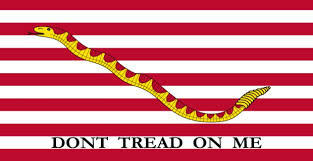 Help Stop The New World Order takeover of America! Buy a Copy Today! 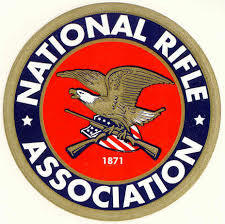 The NRA Protects American's Rights!